How did I do in November? The holidays are upon us in all their fury. I’m finishing up NOD #6, which will be a free PDF download for the holidays and a print-on-demand product for those who like their copy hard. PARS FORTUNA is finally out and about, and I’m almost finished writing the text for my second Hexcrawl Classic to be published by Frog God Games – The Winter Wood. Hexcrawl #1 – Valley of the Hawks – should publish in January. I’m still working on Mystery Men! – just added some advancement tables and (I think) figured out how much super powers will cost – oh, and I’ve seen some art and its pretty slick. I’ll hit MM! a bit harder in December, hopefully finishing the rules by January and then letting people play test them a bit before publishing in Feb or March. 4, Megacrawl 3000 (138) – Anyone can play – join in! 5. 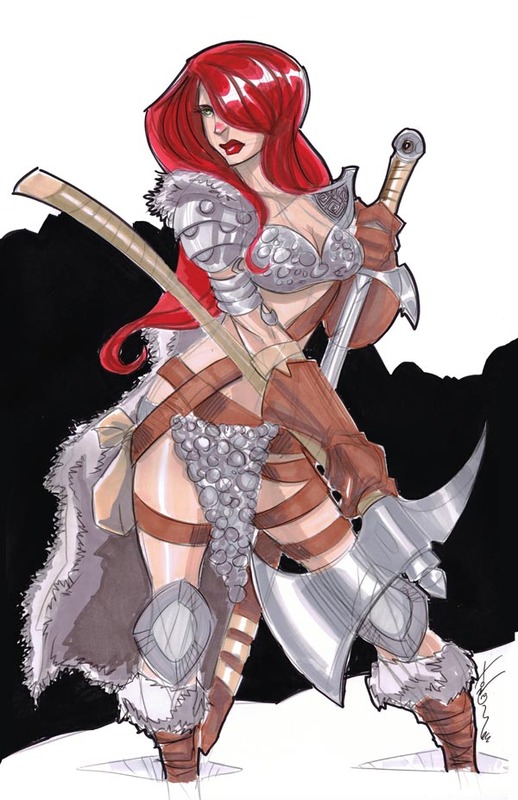 Deviant Friday – Chris Stevens Edition (129) – The unstoppable combination of Red Sonja and Dejah Thoris – a comic book crossover just demanding to be made. It was a good month – even before I sold 23 units on Nov 29! God bless the 25% off sale at Lulu. Most interesting thing to be is the ratio of “units sold” to free downloads of same or similar product. For both NOD #1 and PARS FORTUNA, the units sold equals around 4% of the free downloads. I wonder if this is the same experience others in the business (or my little niche of the business) have had.